These handy folding organizers feature two inner pockets made from mesh and vinyl for easy visibility of contents. Each pocket has a zipper closure-no need to worry about things falling out! An invisible magnetic snap closes the bag beautifully. 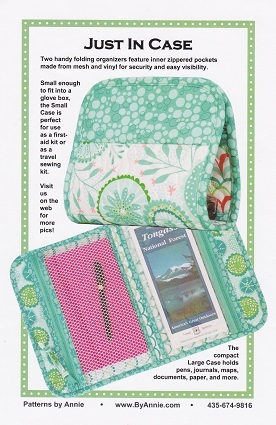 The small case is small enough to fit in a glove box so is perfect to use as an emergency car kit first aid kit, organizer for supplies (sewing, cosmetics, or office) or purse organizer. The large case can hold maps, documents, and more and fits easily under a car seat.